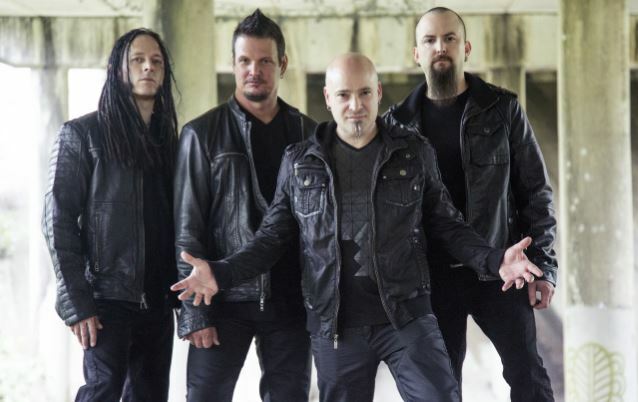 DISTURBED's 'Immortalized' Certified Gold In U.S.
"Immortalized" features DISTURBED's version of "The Sound Of Silence", which has been a huge hit for the band. Paul Simon shared his approval of it publicly after watching the band perform the song on "Conan" and also exchanging e-mails with singer David Draiman. DISTURBED's record label, Warner Bros., credited the song's popularity to the video for "Silence", which was released in December 2015. To date, the clip has been seen more than 108 million times, a record number of views on YouTube for the group. Speaking about DISTURBED's comeback after going on a four-year hiatus in 2011, Draiman told Fight+Music: "It's been amazing. The fire has been stoked. We're performing at a level that I personally believe is unprecedented in our careers. The crowds have been amazing, huge. We've really been overwhelmed throughout the duration of this cycle with the amount of success that we've seen. We're very, very grateful."